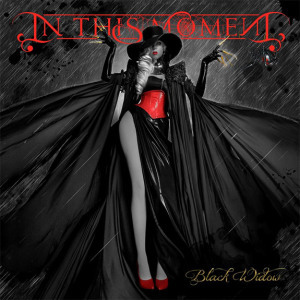 The offical release of In This Moment new studio album titled Black Widow is due November 17. The whole album is streamed now on SoundCloud. The band’s previous work, 2012’s CD titled Blood, sold over 250,000 units in the US alone and brought the Los Angeles group true worldwide fame. The first single, released off the upcoming album, “Sick Like Me”, stirred up the audiences by its stunning music video, reminding of Marilyn Manson and Lady Gaga’s in-your-face videos at the same time (see below). 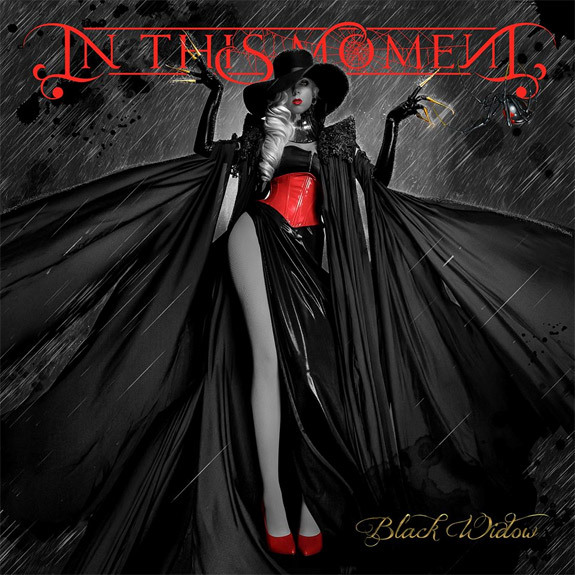 The highly visually provocative leader and singer of the band Maria Brink reveals the central character of the black widow is a metaphor for an innocent young girl who is exploring the essence of life with its traumas and experiences and is searching for the balance of light and darkness. Her experience makes her a “poised and powerful creature”, Maria explains. The band’s lead guitarist Chris Howorth adds that the title Black Widow “fits the image of Maria as this powerful heroine. If you think of the boys in the audience watching our stage show, she’s like the black widow pulling them all in”, the musician commented on The Fillmore. Now that In This Moment is already touring with Twelve Foot Ninja, Starset and 3 Pill Morningto to promote the new record, the band’s concept for stage performance seems to be the Olympic motto”Higher! Faster! Stronger!” as Maria Brink has chosen to be the Lady Gaga of the rock scene or even bigger: “The visual show to me has become so important,” she told The Pulse Of Radio. “I like the visuals to be just as large and just as big, and we’re really trying to create this show that nobody is bringing — almost a theatrical show and almost like a Vegas show where it turns scenes almost every song and performers and huge spiderwebs that I crawl and hang on”. While American fans are already enjoying In This Moment’s most spectacular show program to date, for the rest of the world, still waiting, there are already several live videos available on Youtube from Black Widow Tour (see below).